`Orthodoxy, autocracy, nationalism` formed the ideology of Russian czars. Is the same coming to Ukraine under President Viktor Yanukovych? On his 60th birthday on July 9, President Viktor Yanukovych received an unusually special gift from the church. Ukrainian Orthodox clergy loyal to the Moscow Patriarchate bestowed on Yanukovych the high title of predstoyatel, or primate, to honor his service to the country and the church. Although void of any clerical standing, many see the award as another reminder of an unholy union between church and state in Ukraine. A former member of the Communist Party, Yanukovych is the first leader to claim the honor. But he’s not the only politician showing loyalties to the church. Be it religious holidays or elections, officials in Ukraine rarely miss an opportunity to show off their religious affiliation. The politicians’ choice of parishes usually falls between the two and often competing Orthodox patriarchates in Ukraine: Kyiv or Moscow. – Anatoliy Kolodniy, head of the Institute of Philosophy in Kyiv. The state favoritism extends to other areas – such as where or whether a church gets built – and has prompted other confessions to complain of discrimination. Politicians use the religious backdrop, with the imprimatur of church sanction for their activities, to influence and curry favor with the masses. During big public holidays, Yanukovych rubs shoulders with Moscow clergy while representatives of other confessions remain in the background. Orthodox churches, both ones loyal to Kyiv and the Moscow patriarchate, are popping up across Ukraine, often getting built at Ukrainian taxpayer expense. While some see no harm in this harmony, others see plenty of dangers to society in the decreasing separation between church and state– especially with a church that has a history of subservience to Kremlin leaders. Modern-day relations are more than vaguely reminiscent of the ideology, popular in medieval and czarist Russia, that government rulers are ordained from God to be in charge and that there is only one state-sanctioned religion. Anatoliy Kolodniy, head of the Institute of Philosophy in Kyiv, said that although the president’s stated policy is for government to treat all religions equally, the reality is otherwise. – Yury Zavhorodniy, Kyiv Mohyla Academy professor of religious studies. 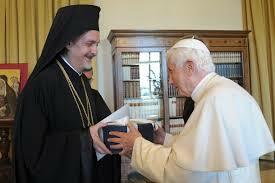 Others also fault the Orthodox Church hierarchy’s service to the people of Ukraine. While other religions have also been criticized for operating more as profit-making businesses than spiritual centers, other faiths — Protestants, Catholics and Muslims — have set up charities, schools and hospitals internationally. “Many Ukrainians claim they are Orthodox but almost never go to church and know very little of Christianity,” said Kyiv Mohyla Academy professor of religious studies Yury Zavhorodniy. 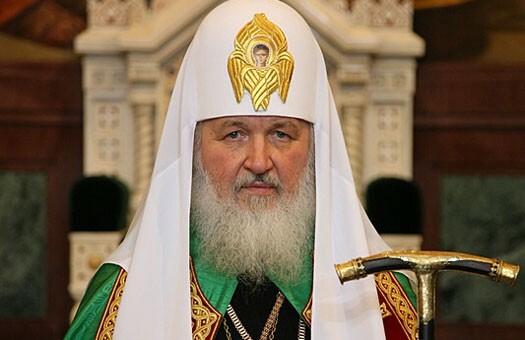 Patriarch Kirill, the head of Russian Orthodox Church who arrived in Kyiv on July 20 for a nine-day visit, set an opulent example when – during a previous visit — he flashed a watch that observers identified as a 30,000 euro timepiece made of crocodile skin. Kirill is in Ukraine to celebrate the July 28 religious holiday that marks the date in 988 when Prince Volodymyr of the medieval Kyivan Rus empire got baptized and converted the kingdom to Orthodox Christianity. Yanukovych’s move towards Russian Orthodoxy, however heartfelt and spiritual, has also yielded political dividends. Patriarch Kirill has praised the Yanukovych government for “positive changes” that unite Ukraine and Russia, a cherished goal of the patriarch. Before Yanukovych’s Feb. 25 inauguration as president, an event Kirill traveled to Kyiv to bless, the church leader told Yanukovych: “May God bless you in your accession to power.” The Russian patriarch also lobbied the Kremlin to lower the export price of natural gas to Ukraine. – Vasiliy Anisimov, a Kyiv-based spokesman for the Moscow patriarchy. Father Iona, a superior of the Svyato Troisky Monastery, disputed the notion that the church is out of touch with the needs of its followers. “One can listen to our masses via Internet and ask priests a question on our web page,” the priest said. Some surveys suggest that while Orthodox believers form the largest share of Ukrainians, adherents to other faiths – Jewish, Muslim, Roman Catholic, Greek Catholic – may form the majority if taken together. Ukrainian Muslims, with some two million adherents, are among those who complain of discrimination. With a great many of them living in the Crimea, they claim that 20 percent have nowhere to pray. Rustam Sittayev, of the Spiritual Board of Crimean Muslims, said the group has been trying to get a land plot for a grand mosque in Simferopol for the last five years. But their efforts have been fruitless to date. The Simferopol city council denied the allegations. The town hall’s spokeswoman said Crimean Muslims wanted a land plot specifically on a busy Yalta highway, but refused to build elsewhere. “It is the main problem,” briskly replied the press officer, who refused to identify herself. The former head of the religious affairs committee in Crimea, Volodymyr Maliborsky, explains a failure to reach a compromise as political. “I heard the council is lobbying for a shopping mall at the spot instead,” Maliborsky said. The Greek Catholic community of four million parishioners in Ukraine has a list of similar problems. The most famous case involves a century-old Saint Nicolas Cathedral on Velyka Vasylkivska Street in Kyiv. Expropriated by the Soviets in 1940s, it served as a warehouse and a KGB office. For the last few decades, Catholics have been trying to get it back. The success of the Catholic ownership claims have, however, progressed only as far as the basement, where they are allowed to hold church services. The same situation haunts the Roman Catholics in Lviv, where Maria Magdalena church is also still hosting organ music evenings. Representatives of smaller religions in Ukraine sometimes have it even tougher. Serhiy Filonenko is a Buddhist monk from Donetsk, Yanukovych’s most loyal base in Ukraine. Of his 15 years practicing Buddhism, Filonenko said he spent a third trying to build the first ever temple or stupa in Ukraine. “We were finally promised a small parcel close to a hospital in Donetsk. But then the authorities said they needed it for the Euro 2012 football championship and promised us an alternative plot,” said Filonenko, who is still waiting for that promise to be fulfilled. With some 100,000 people, Ukrainian Buddhists are holding ceremonies in their own homes. Luhansk Oblast Buddhist monks seem to have succeeded in securing a plot to build a temple, but not without problems, either. Filonenko said the head of land committee in Luhansk rebuked them for “an alien religion” and asked why they don’t build a church instead. Kyiv authorities deny allegations of favoring some confessions over others. And yet Orthodox churches keep mushrooming in Ukraine, usually blessed by politicians in power. “It is purely personal business of a president to be a parishioner of any religion or patriarchate, but this should not influence state policy. The president shouldn’t make it a public affair, displaying his personal preferences,” said Kyiv Mohyla Academy professor of religious studies Yury Zavhorodniy. Experts believe showing favoritism to a specific church is akin to the ancient Kyivan-Rus model, carried on in czarist Russian times through the Romanov dynasty that collapsed in 1917, in which government and Russian Orthodoxy acted in unison. When the Soviet Union fell apart, officials needed a new force to hold people together, and religion seemed like the strongest control element. “Yanukovych may now see Orthodoxy as a tool of influence, just like it was used by the Russian government,” concluded Kolodniy. And some people seem to have already responded to this power share by painting icons with images of the president on them. One can buy them at street markets in Kyiv and Donetsk for Hr 1,700. The patriarch arrived in Odesa on July 20 and visited local churches, a monastery and the National Juridical Academy. On July 24, Kirill will visit the city of Dnipropetrovsk, where he will attend the National Oles Honchar University and Makarov engineering plant. On July 25, Kirill will come to Kyiv, where he will attend several churches and hold two masses, including one on Volodymyrska Hirka in the center. He is also expected to meet with President Viktor Yanukovych on July 28, the 1,022nd anniversary of the conversion of Prince Volodomor of the medieval Kyivan Rus empire, to Orthodox Christianity.